For most of us who have been bitten by the genealogy bug, genealogy is a fun hobby that distracts us from the rigors of daily life and consumes a big chunk of our free time. But, have you ever stopped to consider why the Mormons are so committed to advancing the study of family history? The Mormon Church has invested tremendous amounts of money and human capital into building the world’s largest collection of genealogical resources and a global network of research centers. Brigham Young University (BYU) also offers degree programs in genealogy research. So, what is motivation behind all this investment? That question intrigued me for a number of years until I took the time to do some digging into the subject. To answer to this question, we need to look deeper into Mormon religious beliefs. Mormons are a religious group related to Mormonism, the principal branch of the Latter Day Saint movement. Their story begins with Joseph Smith in upstate New York during the 1820s. 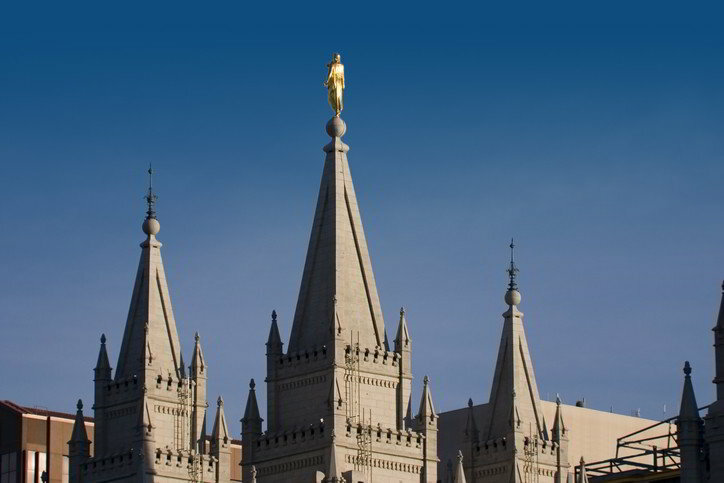 After Smith's death in 1844, the Mormons followed Brigham Young to what would become the Utah Territory. Church members dedicate large amounts of time and resources to serving in their church, and their young often choose to serve a full-time proselytizing mission. Those practicing the Mormon religion have a health code which prohibits the consumption of alcoholic beverages, tobacco, coffee, tea and other addictive substances. They tend to be very family-oriented and have strong connections across generations and with extended family. There is nothing like a little religious fervor to motivate people into action. I would like to disclose that I am not a Mormon nor have any affiliation with The Church of Jesus Christ of Latter-day Saints. I hope I have answered this question in a way that is both accurate and respectful to the Mormon religion as I have always found them to be generous of their time and spirit whenever visiting the Family History Library in Salt Lake City.